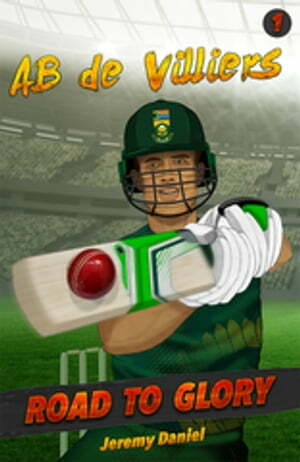 Collins Booksellers - AB de Villiers by Jeremy Daniel, 9781868428632. Buy this book online. So begins the wonderfully entertaining story of the rise to fame of one of South Africa’s favourite sporting stars. Written specifically for youngsters aged 10 –14, it takes the reader close to all the action, and the ups and downs. AB was already building a name as a great schoolboy tennis and rugby player, but when he decided to focus on cricket the word spread quickly about a talent that could not be contained. With two brothers a lot older than him, AB learned early how to play hard and never give up. In this inspiring story we watch as AB progresses through high school, then ’varsity, and learns how to play against the best. In his first Test series, AB struggles and wonders if he’s good enough to make it at this level. However, the outcome is an inspiration to sports fans and readers who love a good story.